To address serious water issues affecting the Sacramento region and all of California, we set out to demonstrate that an attractive and easily maintained landscape requiring irrigation as little as once a month during the summer months is possible. 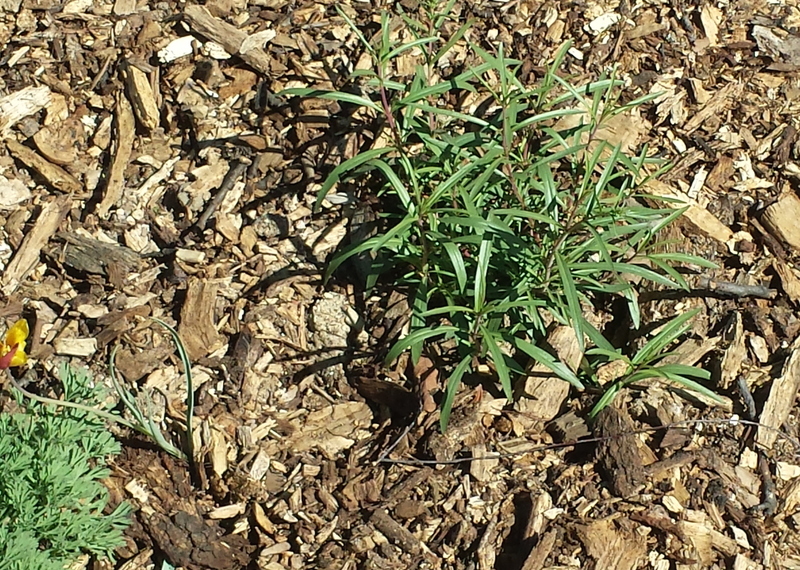 The ultimate water conserving landscape would consist of species that can tolerate no water whatsoever once established, such as certain native oaks, flannel bush, certain bulbs, and native grasses that go dormant in summer. 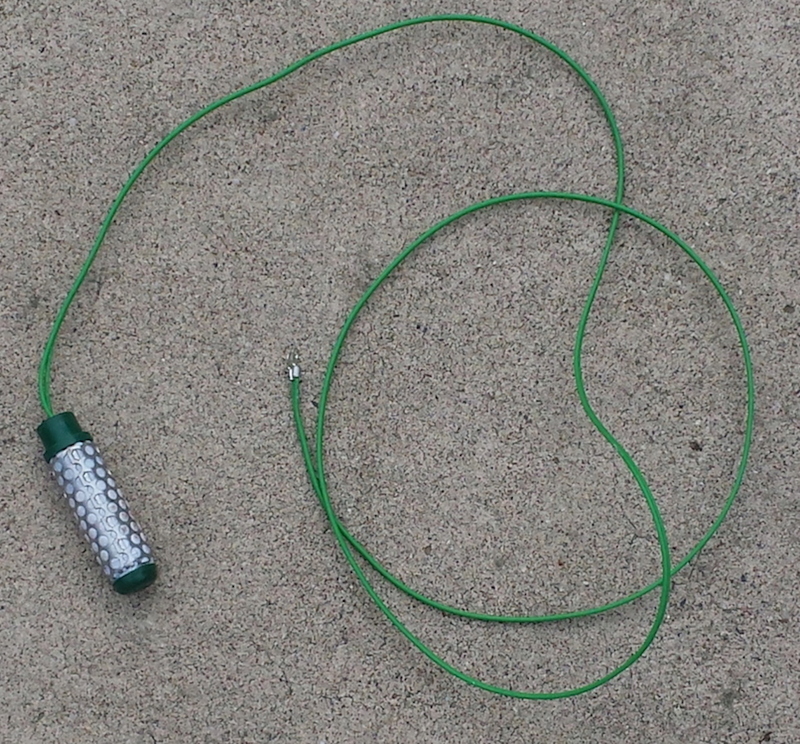 Although such species may survive, however, they often look very stressed by late summer and if winter rainfall is insufficient, they may die. 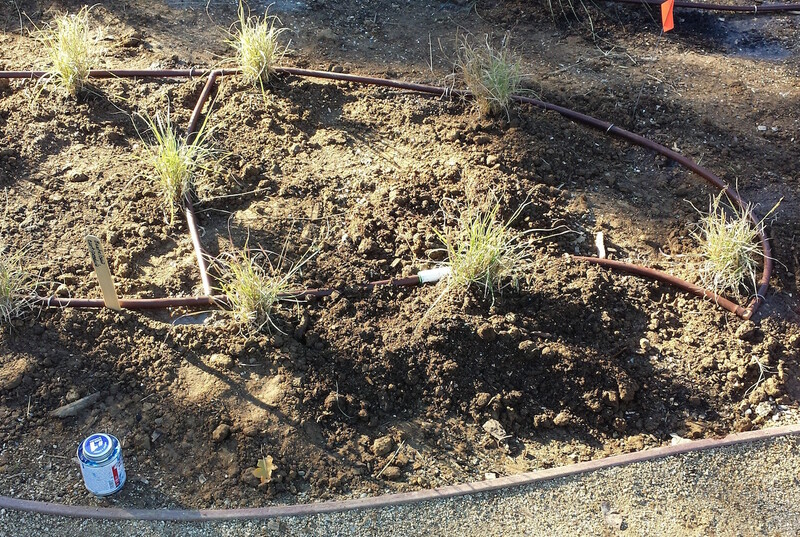 The goal with our Ultra Water-Efficient Landscape (Ultra WEL) is to provide a diverse plant palette and deep, infrequent watering to demonstrate water conservation, healthy plants, aesthetic design, habitat enhancement, and ease of management. 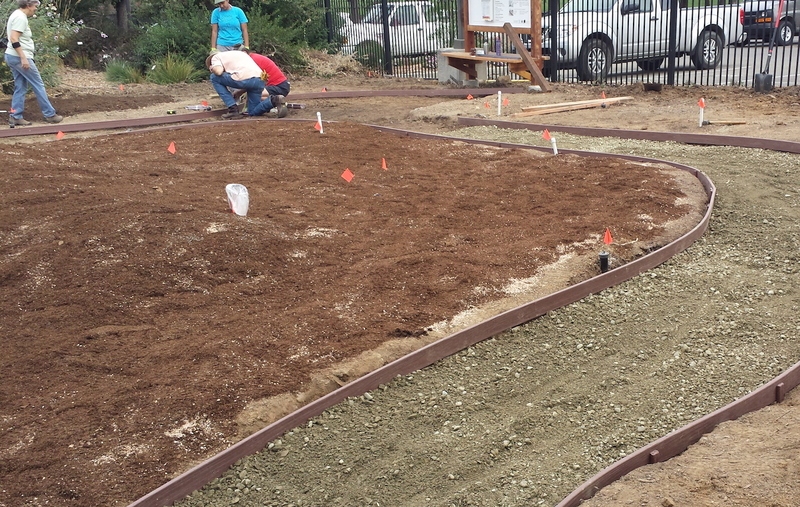 Complementing the existing water-efficient landscape gardens, the Ultra WEL was planted at the Fair Oaks Horticulture Center in November 2015. Selected plant species include those classified as low or very low water users according to WUCOLS IV: Water Use Classification of Landscape Species. 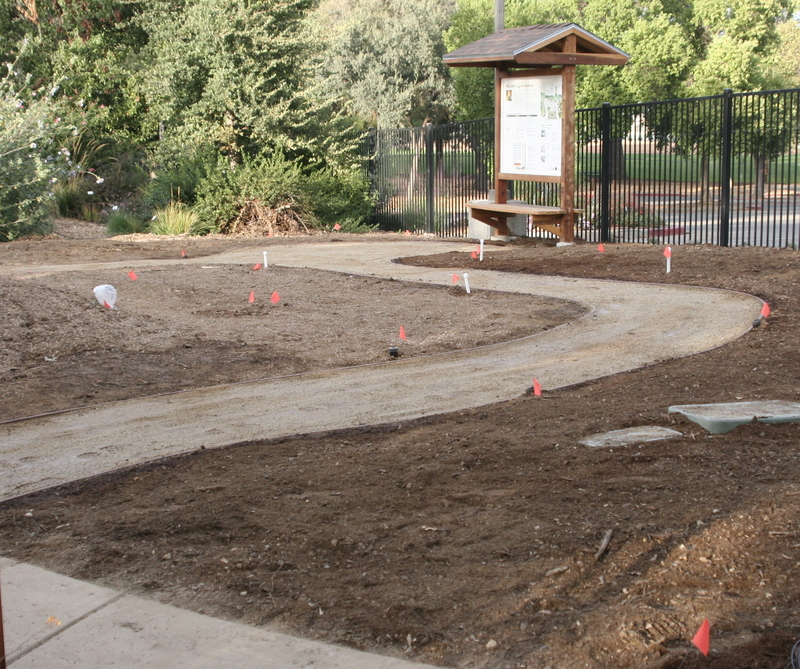 To create the Ultra WEL, Environmental Horticulture Advisor Chuck Ingels and the Sacramento County Master Gardeners used the design prepared by Scott Volmer of Great Valley Design, Inc. in Davis, who generously donated his time and talents. 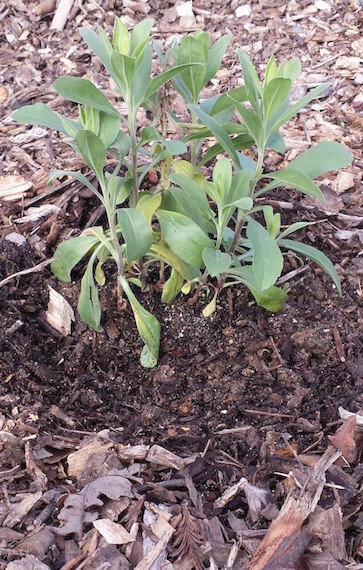 See the list of plants in the Ultra WEL (PDF 196kb). The first step in the project was to be sure the soil was loose and could drain well (see Soil Preparation). 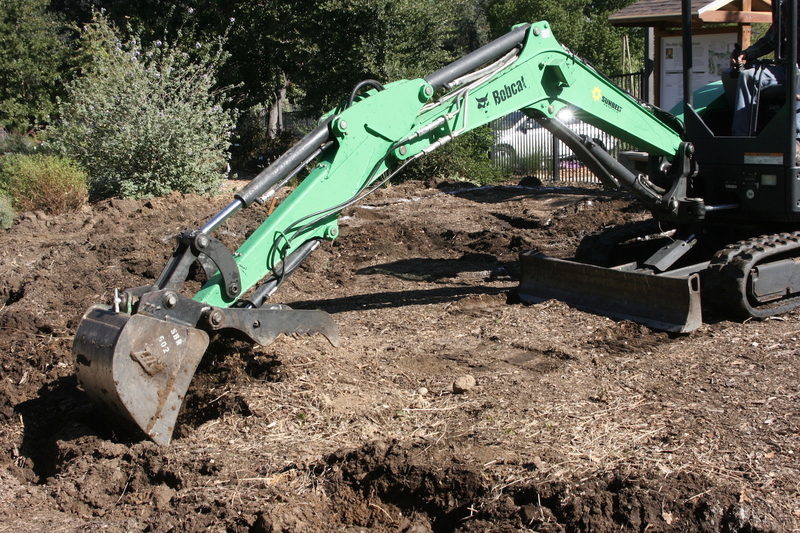 Because of soil compaction and hardpan, we rented an excavator to loosen the soil 18 to 24 inches deep. 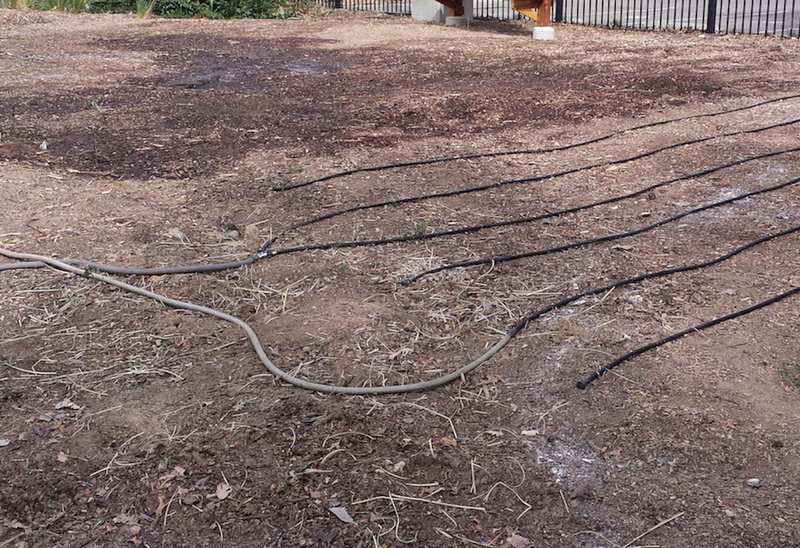 Before excavating, we watered the soil deeply with soaker hoses and waited several days for the soil to dry some. 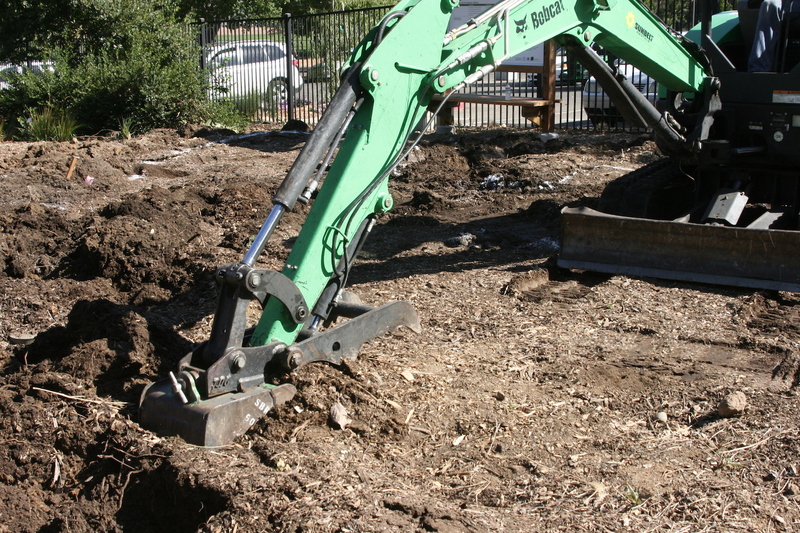 The excavator just loosened the soil, rather than turning it over, so the top layer, rich in organic matter and microbes, would remain on top. The deep, loose soil should ensure deep rooting for improved drought tolerance. 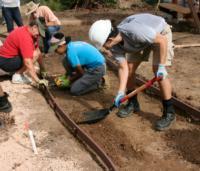 The soil was again wet deeply to stabilize it so trenches for the irrigation could be dug without the loose soil falling into the trenches. 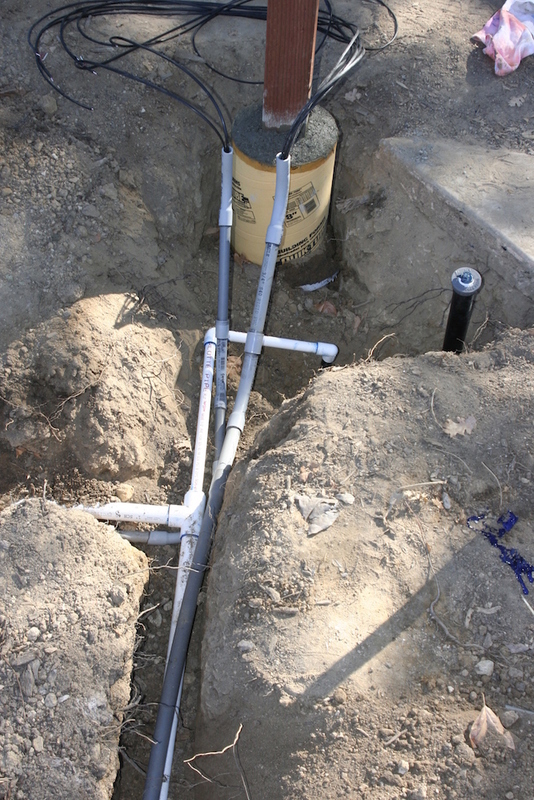 We trenched and installed PVC pipes as well as wiring in gray conduit for Watermark soil moisture sensors (Irrometer Co.). 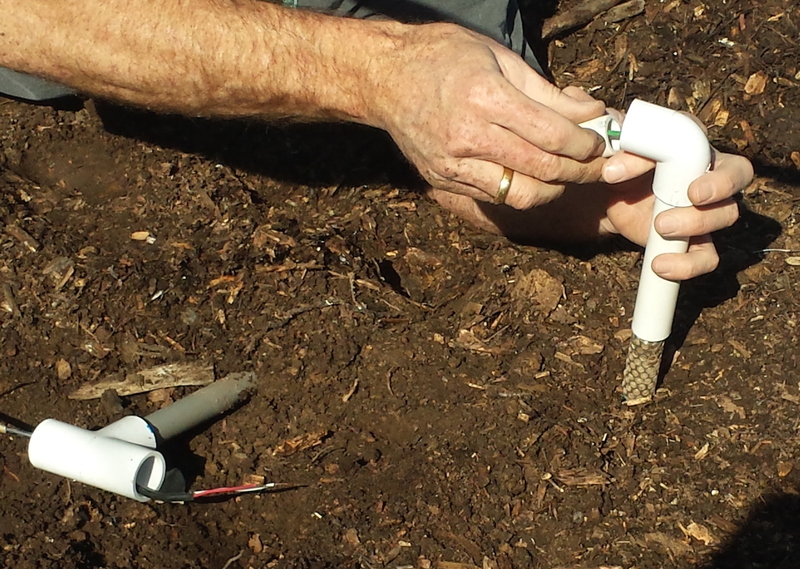 These sensors will indicate how wet the soil is at two depths in four locations in the Ultra WEL (see Soil Moisture Monitoring). 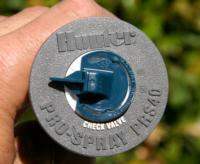 For irrigation in most of the garden, 12-inch Hunter pop-up sprinklers with MP-1000 rotator nozzles were initially installed. 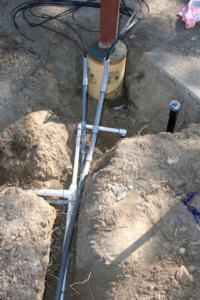 A swing joint was installed under each sprinkler. 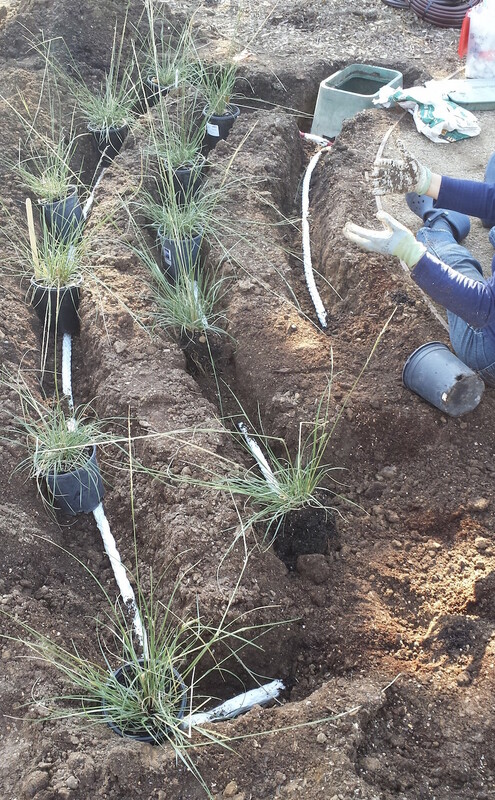 Because foliage did block sprinklers, and in order to improve the uniformity of irrigation, in Oct. 2016 we retrofitted the sprinkler system with drip irrigation (see Irrigation). 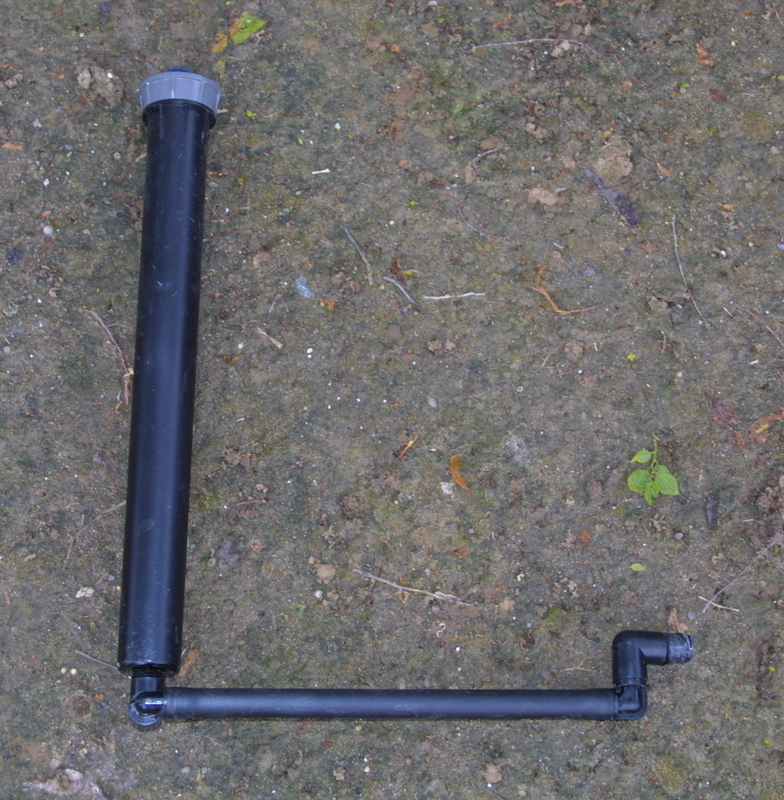 The tubing is spaced 15 inches apart throughout the former sprinkler area, and emitters are 1.0 gal./hour with 12 inch spacing. 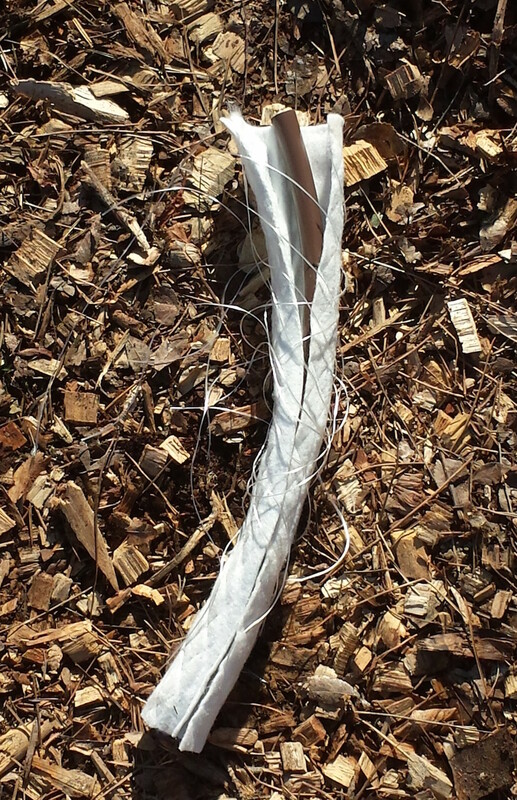 In the grass planting areas, standard drip irrigation tubing with in-line emitters was installed in one area, and buried Eco-Wrap drip tubing (8 inches deep) in another area; the tubing in these areas have 0.6 gal./hour emitters and are spaced 12 inches apart. 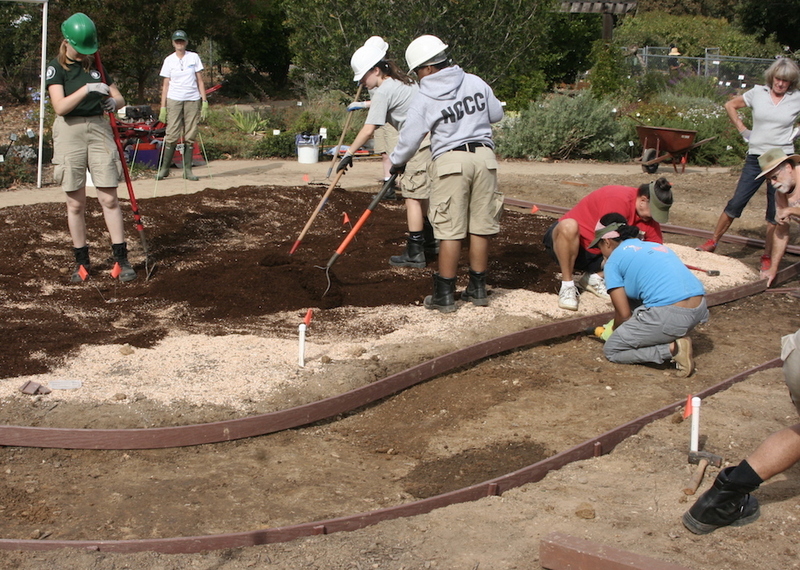 Next, soil was removed for the pathways. Then 2 inches of road base (gravel and fine aggregates) and 2 inches of decomposed granite with added stabilizer (serves as a binder) was laid down. 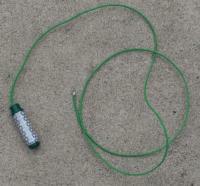 A powered compactor was used with each layer to tamp down the materials. 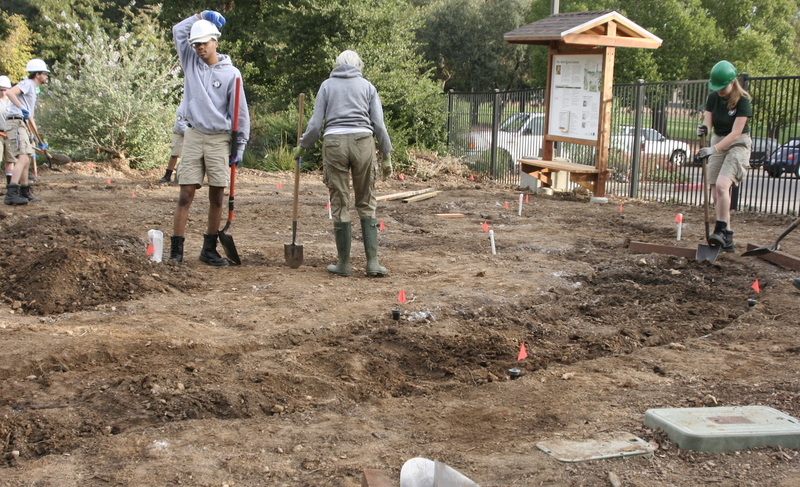 With some of the removed soil we made mounds to create different elevations. Next, amendments were added to the areas to be planted. 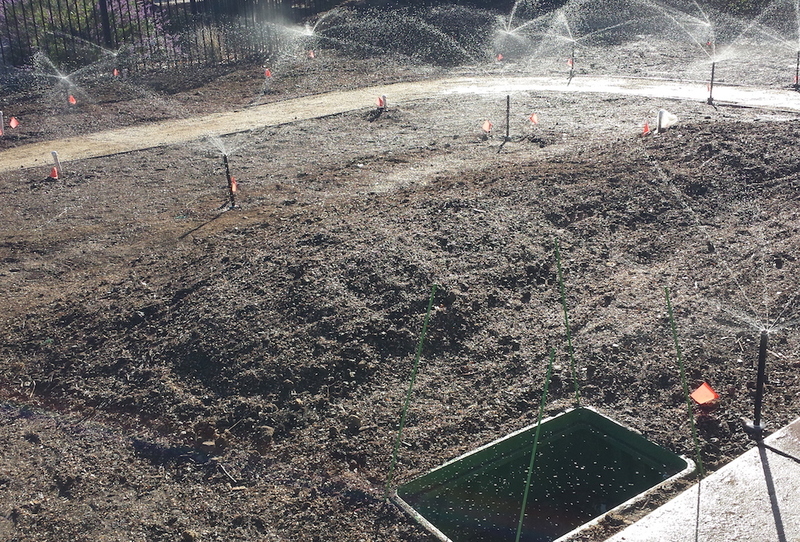 To improve drainage, lava fines and compost were added; the compost also added organic matter and slow-release nutrients. 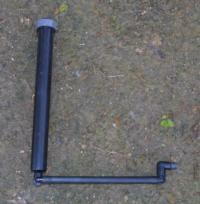 An organic fertilizer (Nutri-Rich) added additional nutrients. 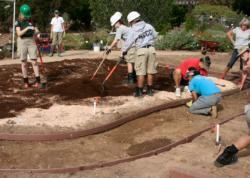 To complete the preparation, the soil was rototilled and raked smooth. 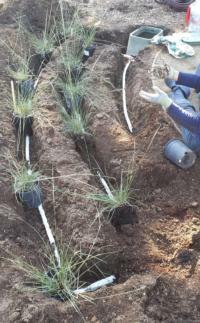 As the potted plants were installed, winding roots were pulled out or cut, then the plants were placed so the top of the soil in the container was at or slightly above the soil level. Because of the soil preparation it was possible to simply dig a hole the size of the pot and insert the plant. 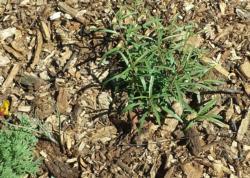 Right after planting we covered the soil with wood chips.